Your eyes are a very important part of your body. That, of course, also means that you need to be sure to protect them. Whether you work in an industrial \ or a medical setting, and even if you are simply doing chores at home, prescription safety glasses are an important tool to have. Especially if you already wear eyeglasses, it is vital to get the proper pair of safety glasses. When your eyes are at risk, you want to be sure to take all the precautionary measures possible to ensure that your eyes are never in danger. Thanks to prescription safety glasses, you’ll not only get the functional safety your job or task requires. 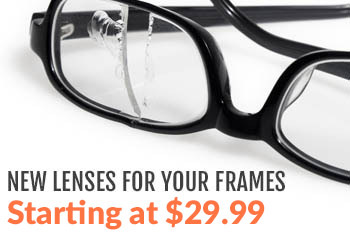 In addition, you’ll be able to see more clearly, even with worsening eyesight. That, in turn, comes in handy for a wide range for wide range of reasons. If you do work that requires a great deal of attention to detail or the handling of small parts and you are farsighted, it can’t be stated enough how important clear vision becomes, allowing you to see what exactly you are doing with your work. 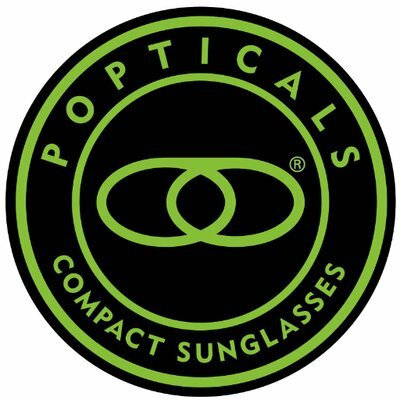 The proper eyewear will have an impact not only on your safety but on those around you. Additionally, it’s critical to make sure that you get glasses that fit your eyes and face properly. You want to be sure that they fit your eye size, while also ensuring a good fit over the bridge of your nose and at your temples. The fit is important to provide your eyes with as much protection as possible. If you are working with lasers, the light can get in around your safety glasses and cause eye damage – which is definitely something that you want to avoid. Not only do many people have to wear safety glasses in order to perform their jobs, but the same type of glasses also provide a unique protection. When you work in the medical field, for instance, you are frequently working with individuals who are not completely healthy. Although eye infections from these bacteria are not necessarily common, you do run the risk through exposure to germs. Safety glasses help to provide a protective barrier for your eyes from different infections. When you work in a medical lab, you will have to follow a wide range of safety procedures. This is because you not only have to protect your patient, but also yourself. For example, phlebotomists need to be able to see clearly, which is absolutely crucial when it comes to drawing blood. Prescription safety glasses can provide you with much-needed protection; in the event of something going wrong when taking the blood, you don’t want to expose your eyes to contamination. Especially if you are taking blood with someone who carries an infectious disease, you would be risking your eyes if you don’t wear the proper eyewear. The proper pair of safety glasses is just as important in a research lab environment. In some cases, further protection may be needed, such as an entire face shield. Nevertheless, it’s important to wear the right safety glasses, especially when you could be working with dangerous chemicals, substances, diseases, and so on. But when you already need glasses, don’t assume they are enough for protection. Regular eyeglasses are not designed to withstand any kind of impact or offer any additional protection beyond the improvement of vision. That’s why it is vital to get the proper pair of safety glasses. Fortunately, because you can get them with your correct prescription included, there won’t be any compromise on your ability to see clearly and complete your work. Safety glasses are just as important when you work in construction. Often times on a construction site, debris can be found flying around. Especially for activities like sanding, you want to be sure to wear the proper eyewear in order to keep any particles of wood from getting into your eye. Getting a shard of wood in your eye will not only be painful but could potentially cause serious damage. And although you could try to wear safety glasses over your normal prescription glasses, that double coverage can simply make your glasses too cumbersome. Safety glasses are needed to provide very important protection, and are more robust than your normal glasses. In fact, that’s exactly why it’s important to also feel comfortable in your safety-focused alternative. By getting a pair of prescription safety glasses, you won’t have to wear two pairs of glasses at the same time. This means that you’ll be more comfortable and safer while you are performing your job. If you are a machinist and work in a shop, we don’t have to tell you about the importance of safety glasses. As is the case on a construction site, the grinding and shaping tools around you lend themselves to the possibility of loose particles flying around. Getting a piece of metal in your eye will not only be uncomfortable, but could cause serious vision problems for years to come. So it’s vital to find the right pair of prescription safety glasses. Even if you work in an area where you apply coating to garage floors professionally, at least one step (the shotblasting) requires proper protective eyewear. This step kicks up loose dirt, dust, and other debris from a concrete floor. Simply put, your eyes are just too important to not get the best protection possible. If you are already getting safety glasses, why not choose an option that already includes your correct prescription? That way, you can put them on before you leave the house, and take them back off when you come back home, knowing that your eyes will be protected from the moment you arrive at work. One of the most underrated advantages of prescription safety glasses are the options available to you. For instance, you might not want to sacrifice your own comfort and style for safety glasses. Fortunately, you can choose a style and frame that you like, and that fits comfortably on your head. It’s also important to be sure that you can find the right safety glasses for your work. If you work with lasers, you shouldn’t get the same pair of glasses as someone who works as an electrician. By getting the correct type of glasses for your job, you’ll be sure that your eyes are getting the appropriate protection. You can accomplish that feat by doing your research in order to get the perfect pair for your individual situation. Protecting your eyes shouldn’t be a hard task, especially you can easily find exactly what you are looking for. By taking the time to find the right pair of prescription safety eyeglasses for yourself, you will be able to continue to do great work, while also giving yourself the peace of mind knowing that if something happens, your eyes will be protected. From a medical lab to a machine shop, it’s a good idea to get a pair of safety glasses that will allow you to see clearly, but also be perfectly suited for your face and the type of work that you do. To find the right pair of glasses for you, contact us to get the process started.